Well, Raghuram Rajan went where his 2nd term was not extended which was highly required and now Mr. Urjit Patel immediate resignation. Shock for the global economy and loose of the face in front of the global central banks. Both the incident happened during the current government. A lot of suspicion behind such an immediate resignation but the main factor is that a certain segment of the economy should be given an autonomous free hand where any influence should be avoided. In the history of the Indian economy, this is the 3rd case where a Governor did not serve his full term. The other two resignations both happened before 1960, with Sir Osborne Smith and Sir Benegal Rama Rau quitting before the end of their tenures. The government is simply slapped with this resignation. It shows very clearly that any central Bank Top position cannot be influenced by any government or from a political aspect. Since 1992, all RBI governors have received full-five year terms. These include R.N. Malhotra, C. Rangarajan, Bimal Jalan, Y.V. Reddy and D. Subbarao. 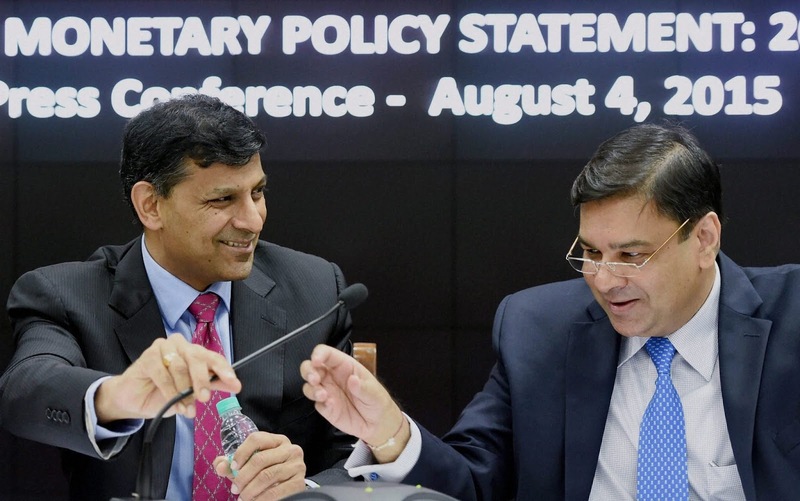 Under the Modi government, Raghuram Rajan and now Urjit Patel has not served five-year terms. In my many previous articles, I wrote that neither any auditing standard neither any regulation can control the influence of political system on the banking industry. Well, the prime reasons for the resignation are many but among them, the major cause for tension between the governor and the finance ministry was a reported demand by the central government to pay a higher dividend from the RBI's reserves. The RBI has an excess reserve of Rs. 3.6 lakh crore. The central bank officials had opposed the move on the grounds that the reserves were required for maintaining the country's financial stability. Well if there is a global liquidity crunch of another recession then this surplus of RBI will be injected to save the economy from such worst situation. The current trade war and rising crude prices followed with rupee depreciation create immense pressure on the fiscal condition of the Indian economy. RBI is well placed for its decision. Well, economy and politics are different subjects when it comes to National interest. These resignations raise many fingers and question about the strength of influence of the government or political influence on the banking industry. There is no audit system to control such influence and block the loopholes. We knew later on that what Mr. Raghuram Rajan wanted and communicated to the government for the NPA resolution and also the various policy reforms required for the Indian banking system. In a similar fashion one fine day, we will come to know what made Mr. Urjit Patel resign and go away in such a hurry. The current government behaviour towards the central bank chiefs is an indication that they are reluctant to go with macroeconomic and monetary theory and more inclined to develop their own theorems. The latest fiasco between NBFC-RBI –Govt raises many questions that the central bank is hardly given any liberty in its decision-making process. The biggest question which comes in mind is that does RBI have any independence in its policy decisions. Why did the present government behave in such a way where Raghuram Rajan and Urjit both went off like this way. Why does RBI have to inject liquidity within the NBFC segment? Does the NBFC situation is worst enough and from the back end it’s being repaired? Well, one of the clear roads which can be seen is that as the general elections are coming up these NBFCs plays a huge role in funding the election. Rest I don’t need to elaborate. This is the same influence which created the NPA of around Rs 10.39 lakh cr. The influence of the political system on the banking industry is not new. We have seen in the US that how the mortgage carnage was created under the leadership of many US Presidents. India is not apart from such acts. We all know how the PSU banking industry moves under the guidance of the government are the last several years. The senior position of the banks is being filled under the influence of political recommendation. This recommendation comes on the basis of providing loans to leveraged companies who are the parents of NPA. This is a matter of shame for the Indian economy that such high-level governors have moved under such situations. The Global investor community and various assets class come under immense threat from this sudden resignation. The domestic, as well as the FII sentiments, are now on the verge of collapse after this immediate action of the governor. His resignation is a question mark on the Indian economy. CENTRAL BANKERS DON'T HAVE FREEDOM.